Music, wrote Claude Levi-Strauss, is “a machine for the suppression of time.” In Korogocho, one of Nairobi’s largest slums, music has for some time helped suppress space, make people forget the squalor and the violence, and heal the wounds of the soul. In some cases it has opened a door toward a future which, for those born on the edge of the huge open dump that is the symbol of the slum, was inconceivable. Before 2008, no one in Korogocho had ever heard a piece by Bach or Beethoven being played. 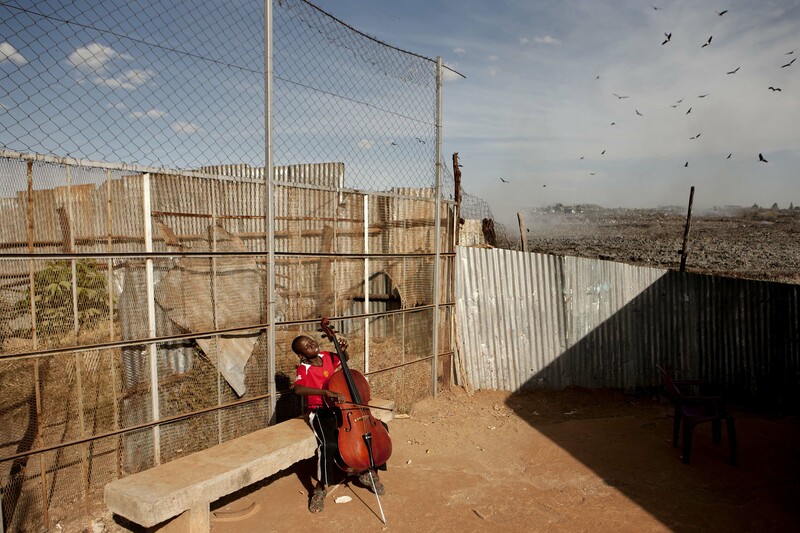 That was the year when a young Kenyan decided to found a school of classical music for children and adolescents in the heart of the shanty town, right next to a dump site. Some of those children have now reached a place they didn’t know existed – the Nairobi Conservatory – and they have a future ahead of them as musicians. But even for the less gifted, music is the only way to suppress the time and space in which, in Korogocho, it is often too painful to live.